Softwood plantations reach maturity more quickly than hardwood, meaning this is our most sustainable and cheapest wood. It also burns quicker and more easily than other types of wood we sell. Our softwood is dried naturally, by the power of the wind and sun. 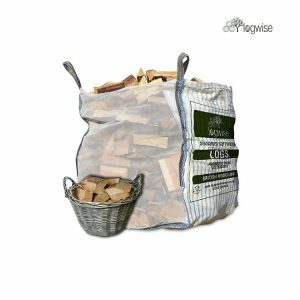 We store our logs in loose-fill bags during the summer months, allowing the wind to circulate fully amongst all logs to ensure even drying. Our softwood logs are cut to 23 cm length and split to 5 cm – 15 cm widths, +/-5%. 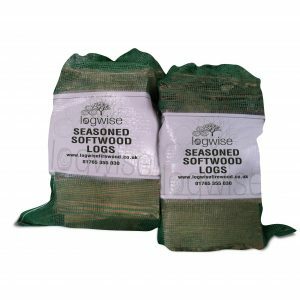 These logs create a larger flame than most, are best suited to wood burning stoves and also fantastic for BBQs and chimeneas.